Loaded 2015 LTZ Tahoe! This is a 1 Owner vehicle with a Clean Carfax! 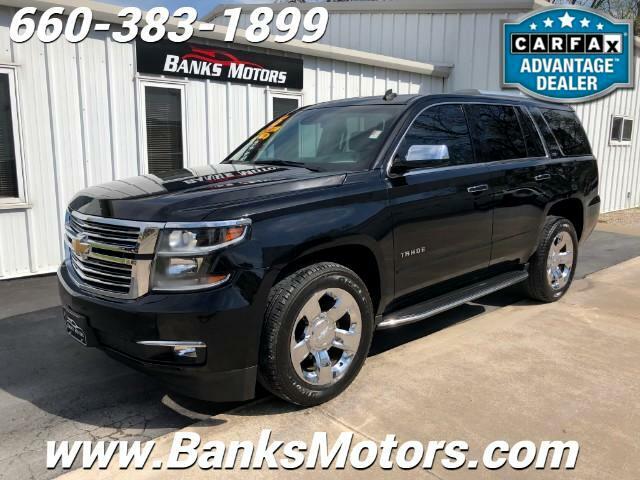 This Chevrolet Tahoe is in Excellent Condition inside and out and is Loaded with Impressive Features! Some of those features include....Heated and Cooled Leather, Heated Second Row, Power Folding Third Row Seating, Navigation, Sunroof, Bose Audio, Heated Steering Wheel, DVD, Mounted Audio Controls, Custom Tinted Windows, Dual Power Seats, Tow Package, 20" Chrome Wheels, Backup Camera, Power Mirrors, Lane Departure, Adjustable Pedals, Park Assist Sensors, Power Liftgate and so much more! We are located in Clinton, MO, less than an hour southeast of Kansas City! No Games, No Gimmicks, Just the Right Way of Doing Business!